Two of the top retail challenges have always been reaching sales targets and investing in the right inventory. 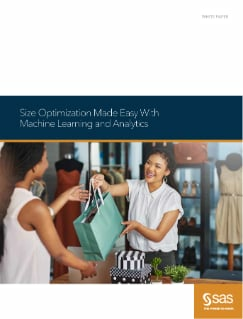 To meet challenges of assortment management, retailers need the ability to estimate actual customer size demand. Ordering and allocating too few of a particular size results in stock outs and lost sales, while ordering or allocating too many leads to markdowns that affect profitability. There is an answer to these problems – size optimization.